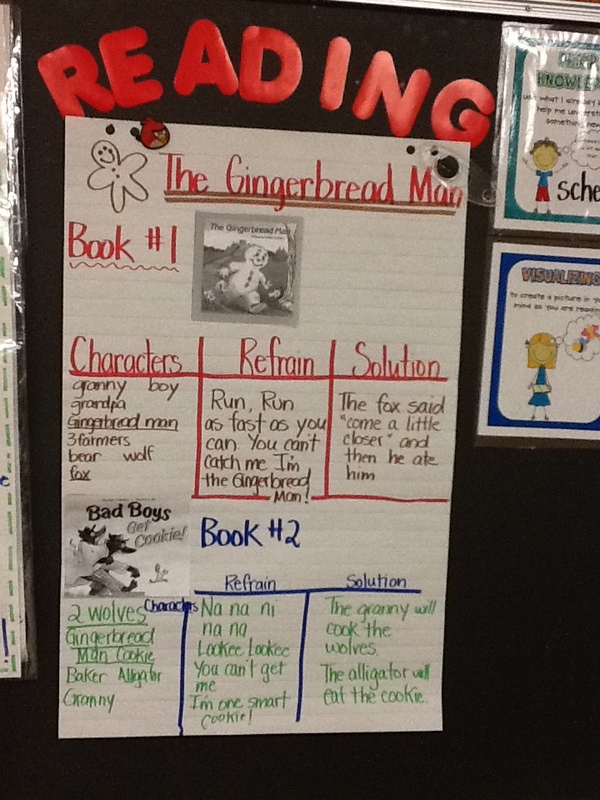 On Monday we started our Gingerbread Man Book Study. Each day we are reading a different version of the familiar story. 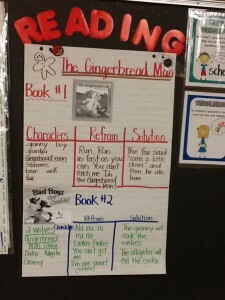 We are making a chart showing the books we have read as well as the Characters, Refrain and the Solution. We are also comparing and contrasting the books.